What is the #1 issues facing young professionals and emerging leaders in the CPA Profession? We asked them and they answered. First in a private ThinkTank session as follow-up to our 2014 Leadership Academy class and just last week at the AICPA EDGE (Young Professionals) Conference in New Orleans. Turns out that helping them save time and grow as leaders was a major focus of my presentation, The Bounce – Maximizing Your Career Trajectory at the AICPA EDGE Conference after polling the 200 young professionals in the audience (poll results are slides 35-43). The group was almost three quarters (74%) Gen-Y (millennials) and one quarter (25%) Gen-X and one Baby Boomer (1%). Two thirds came from Public Practice and 20% from Business and Industry, a emerging category of Consulting captured another 8% and Government and NFP was 8% with about 1% in Education. This list is different than the prior years, 2012 list and 2008 list with time pressure and talent development showing up as major issues (and opportunities). Context and strategic thinking – understanding their context (strengths and values) and the organizational and industry context they operate in. Connections – “your network is your net worth” and they need to build their network virtually (micro-connections) and in-person. Communication – the ability to make their thinking visible to others in-person and virtually with their digital footprint (using blogs and social technologies). 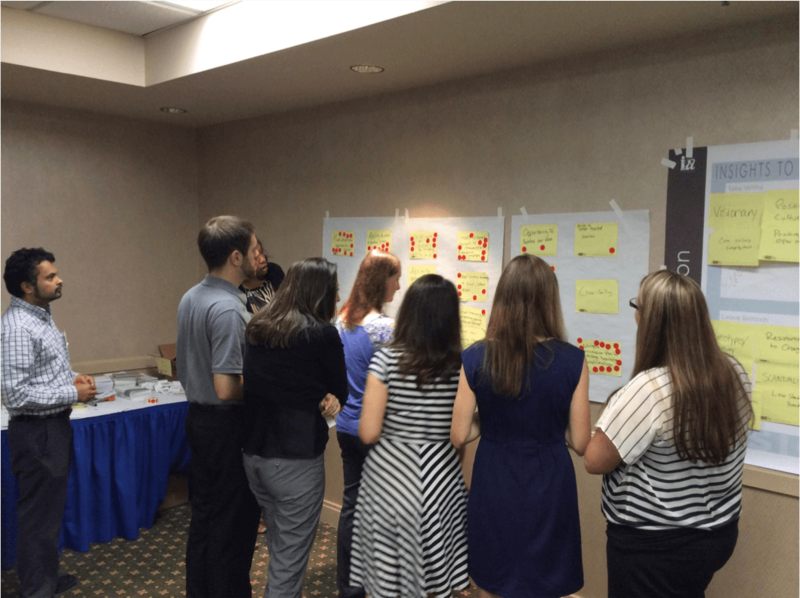 Collaboration – after all it is the year of the sticky note and MBSN. Computers – being technologically savvy to leverage computers to accelerate their own learning and development (see my top tools on slide 30). And at their request, here is Tom and Bill’s Reading List (add your recommened reads in the comment section). Want to know firsthand what they were thinking? Check out the #AICPA_EDGE tweetreach report from the tweet stream – 1,500 tweets reached 141,761 people with 1,706,807 impressions! Do you agree? What can we do to help tackle these issues and flip them into opportunities?